Prince Lincoln Thompson, affectionately called ‘Socks’ (‘Sax’ in Jamaican patois) due to his fondness for red socks, began his career in the mid ’60’s as a member of The Tartans, a rocksteady vocal group which consisted of Cedric Myton, Devon Russell and then Burke Lewis. After their biggest hit “Dance All Night” – released in 1967 on the Federal Records imprint – the group disbanded. In the early seventies Lincoln Thompson went on to record three solo singles for producer Coxsone Dodd at Studio One: “True Experience”, “Live Up To Your Name” and “Daughters Of Zion”. Many fans back then hoped for an entire album of Studio One recorded songs when Lincoln’s teamed up with Dodd, but it never did happen. 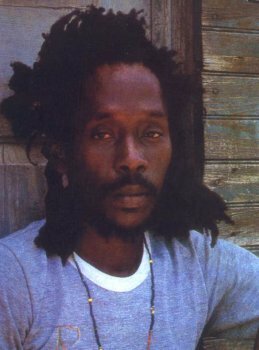 However, at that time Prince Lincoln was one of the first Jamaican singer/songwriters to embody the Rastafarian faith in his music. 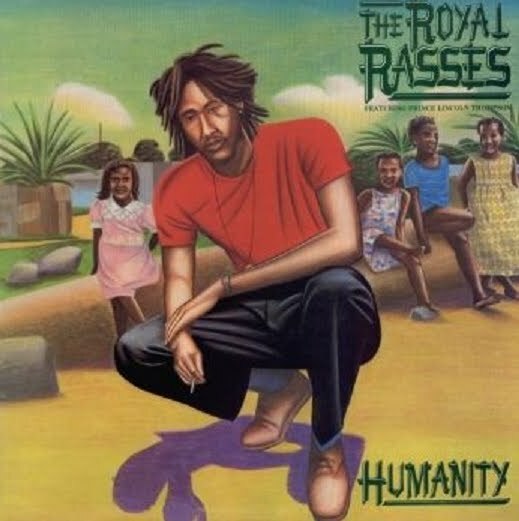 It was the forming of the Royal Rasses in 1975 (consisting of various harmony singers including Cedric Myton, Keith Peterkin and Clinton ‘Johnny Kool’ Hall and the founding of his own “God Sent” label on which he issued “Love The Way It Should Be” and then “Kingston 11” – two of the finest expressions of Rastafarian consciousness ever released – that put the name of Prince Lincoln & The Royal Rasses up where it belonged. A Master songwriter and arranger, he was also blessed with a remarkable lead vocal voice and his style was evident. “Old Time Friends” and “San Salvador” were further testimony to his talent. Together with Junior Murvin’s “Police And Thieves”, “San Salvador” and “Humanity” were some of the most played reggae records of 1976. The owner of Ballistic Records in London actually flew out to Jamaica in 1979; he was so impressed with the sound of Prince Lincoln. He signed him to his label and as a part of the “United Artists” deal they sunk a lot of money into promoting the band. The “Humanity” album came out, then a massive European tour in 1979 followed by the launch of the “Experience” single, then the release of the albums “Experience” and “Ride With The Rasses”. In 1980 Prince Lincoln embarked upon an experiment that was to have far reaching effects for him and his group. Ballistic Records suggested that he should record part of the new album with singer/songwriter Joe Jackson, who had emerged during the new-wave boom of the late 70s and who confessed a strong interest in reggae. The result was the album “Natural Wild” aka “Roots Man Blues”. The cost of these admirable ventures was borne by Ballistic Records, who went out of business in the process. Unfortunately all these efforts failed to bring the desired crossover success and Prince Lincoln retreated from the recording business and essentially returned to Jamaica in 1981. Perhaps his shy and assuming ways weren’t suited to the part of stardom. He eventually did return to England and set up the Rasses Fish & Grocery Store in North London; a co-operative venture run on strictly “ital.” lines. It was with his 1996 released “21st Century” album that he made his anticipated comeback reminding the reggae audience that artists of vision and breath-taking originality can never be overlooked for long. Prince Lincoln died in 1999 of lung cancer. His tragic passing was completely unexpected. The doctors who examined his state of health diagnosed Lincoln had lung cancer and within a matter of days he was gone. 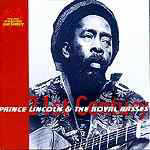 Although Prince Lincoln is sadly missed his peerless roots music will live forever! 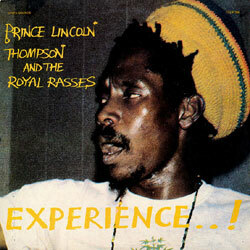 PRINCE LINCOLN’S MUSICAL JOURNEY: True Experience (Studio One Style); Daughters of Zion (Studio One); Live Up To Your Name (Studio One); Love The Way It Should Be; Kingston 11; Old Time Friends; San Salvador; Unconventional People; True Experience; For Once In My Life; Babylon Is Falling; Nobody Here But Me; Ride With The Rasses; One Common Need; Natural Wild; Ain’t Gonna; I Gave You My Devotion; Revolutionary Man; Humanity (Featuring Rebel MC). This entry was posted on March 31, 2012 at 8:01 am and is filed under Articles, Arts, Black British Literature, Black History, Community, Culture, Current Affairs, Education, Music, News, Newsletter, Publications, Reggae, Television, Writing with tags Articles, Arts, Black British Literature, Black History, Community, Culture, Current Affairs, Education, Music, News, Newsletter, Publications, Reggae, Television, Writing. You can follow any responses to this entry through the RSS 2.0 feed. You can leave a response, or trackback from your own site.